Author Written by Janelle Swanson and last updated on Posted on October 13, 2017 . 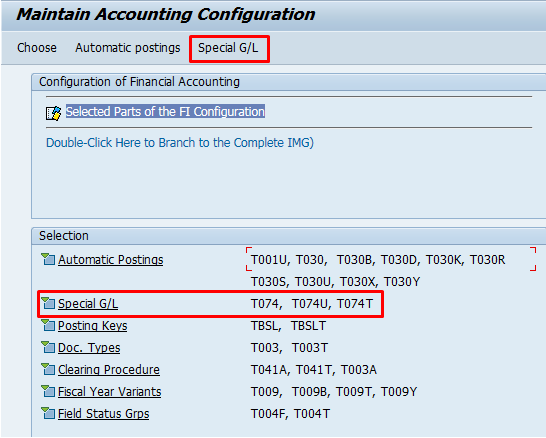 This tutorial walks through SAP special G/L indicator configuration for special G/L transactions. 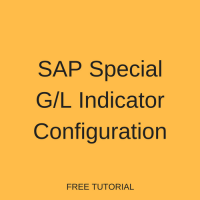 After completing this lesson, you will understand the configurations involved in this activity as well as how to view special G/L postings in SAP. For an overview of SAP special G/L transactions, read through our other tutorials of our free online SAP FI training. We will discuss these in the following sections. Recon. acct: Enter the normal AR/AP reconciliation account maintained in customer/vendor master records. 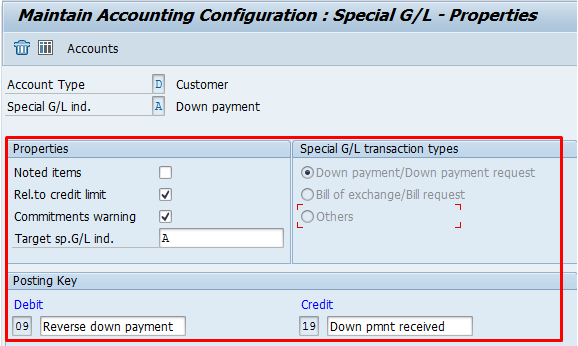 Special G/L account: Specify the alternative reconciliation account to which all special transactions for this indicator should post. The same special G/L account can be assigned to more than one reconciliation account. Commitments warning: When this box is ticked, a warning message will be displayed to a user when they attempt to make a posting to a specific customer or vendor account if a special G/L balance exists on that account. This is particularly useful with down payments. Target sp. G/L ind. : This setting is used in conjunction with noted items. It represents the indicator that may be a follow-on transaction for the special G/L indicator in question. 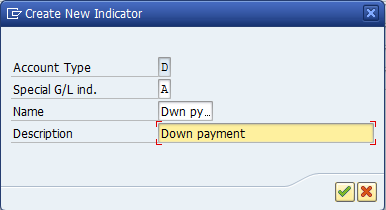 For example, the indicator of the down payment should be placed in this field in the properties for the down payment request indicator. Special G/L transaction types : Define the type of business transaction here. It can be down payment related, bill of exchange related or any other user-defined business transaction. Posting Key: The appropriate posting keys as mentioned in the previous section, are maintained here. Update or enter the properties as necessary. Hit Enter then Save . The special G/L indicator will be saved with a confirmation message: . now I changed to english and the name is called <>. I cant even Change the Name, may you can help me – where I can change it?